ENJOY ZERO RAMP-UP AND A STREAMLINED WORKFLOW! 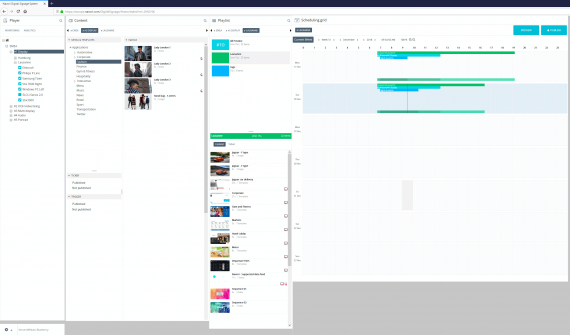 Create, manage and publish your content from any web browser. Trigger content on any display from your desktop or your smartphone. Build and preview your own templates and tickers using QL Content Manager’s built-in designer. 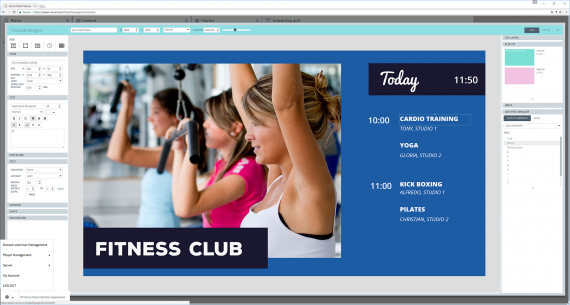 Display social media feeds, RSS, Media RSS, XML data and calendars with zero programming required. Schedule your programs based on a player’s location or use meta tags to ensure the right content plays at the right location. 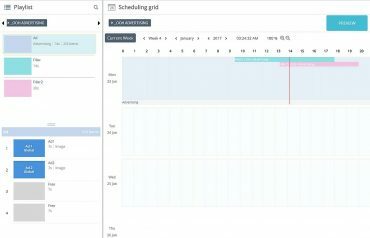 Set rules that trigger content based on real-time events (temperature, hashtag or other unique data). No programming language required. 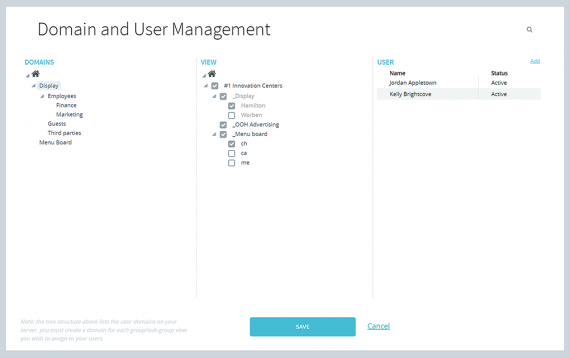 Assign user views, roles and alert profiles based on each person’s responsibilities. 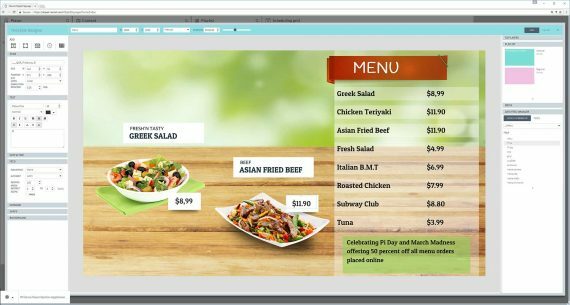 Set content approval rules to ensure only authorized content can be shown on your screens. 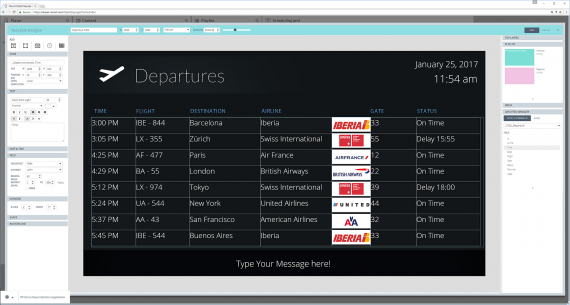 Corpcoms: Create sophisticated templates, integrate data feed in minutes. 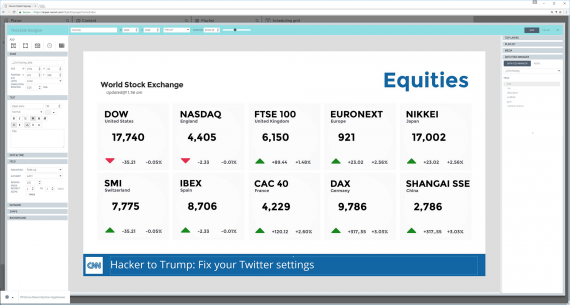 Live data feed driven stock exchange dashboard. Manage self-contained network domains that are isolated from one another. CREATE AND ENFORCE YOUR AD PLANNING! 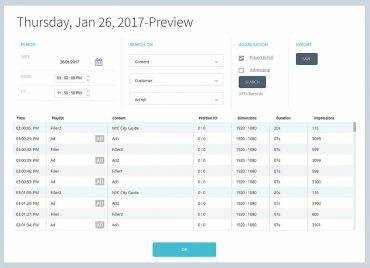 Advertising specific features Create a campaign, predict impressions Preview date time ad will be shown, send report to advertisers. QL Content Manager comes with advertising features required by space advertising brokerage companies. 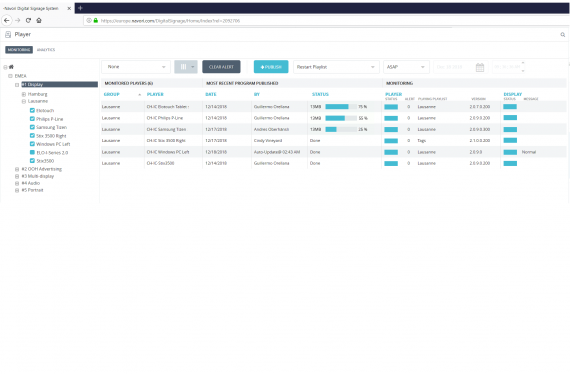 A new advertising campaign management feature lets users program content based on future ad impressions. 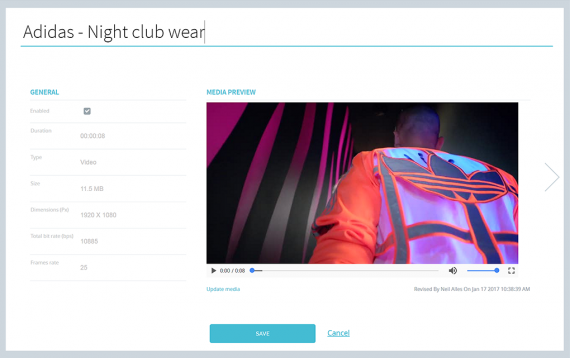 Campaigns include a mix of user selectable filler content. The Ads must be spaced out at regular intervals in order to maximise audience exposure. 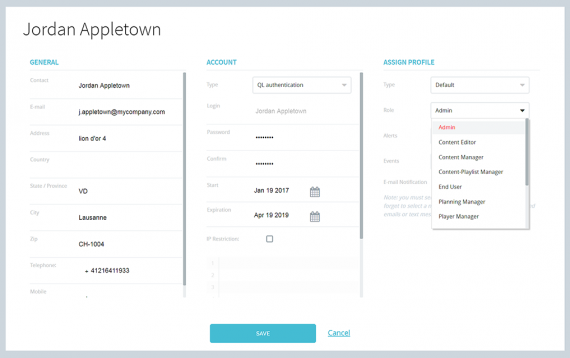 The User must be able to create and manage tags (metadata) that are assigned to each player so content might be shown or not. 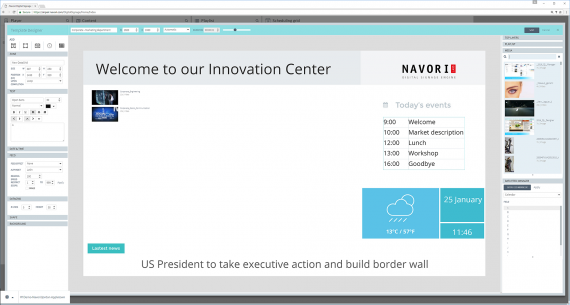 Advertising features can be controlled by any third-party system using the Navori Server SDK. Playback analytics reports must be available so ad network operators and advertisers can validate what was actually shown on each player.